A recent UMKC men's basketball game at Municipal Auditorium was sparsely attended. Updated at 7 p.m. March 9 with updated travel details — Kansas men’s basketball team is just down the road from home this week for the Big 12 conference in Kansas City. Mizzou only had to go to St. Louis. UMKC, on the other hand, traveled more than 1,300 miles to Las Vegas for the Western Athletic Conference (WAC) tournament. The WAC is a far-flung conference: UMKC’s closest competitor is Chicago State. Otherwise, they’re going to places like Seattle and Bakersfield, California, and paying for the travel. The school hoped its move to the WAC — a mid-major conference that doesn’t have football — would bring more exposure to its athletics department. Instead, UMKC is taking a serious look at its five-year-old affiliation. The UMKC athletics department’s total operating expenses for the 2016-17 school year was $15 million, while total revenues were $14.8 million, according to NCAA records filed with the University of Missouri System. Plus, UMKC trimmed $1.3 million from the athletics department this school year in part because of the UM System’s budget crunch. “When you have a crisis like this and chaos, it does make you shake it all up and figure out what’s really important,” UMKC athletics director Carla Wilson says. Carla Wilson became UMKC's athletic director in 2013, the same year the school moved to the Western Athletic Conference. The athletics department itself is now operating at a basic level. Unlike their best years as a contender during the mid-2000s in the Mid-Continent Conference (now the Summit League), the Kangaroos have no pep band nor cheerleaders at home basketball games. The men’s basketball radio announcer, Steven Davis, no longer travels to away games. Sports Information Director Shelby Hild left midseason, so the department doesn’t have a full-time director. Consider this: Bill Self’s base salary ($5 million according to USA Today) with the Kansas Jayhawks’ men’s basketball team is more than one-third of UMKC athletics’ $13.6 million budget for the 2017-18 fiscal year. So how’d the school get here? The meal ticket for mid-major athletic programs is landing an automatic bid to the NCAA men’s basketball Tournament, and to do that, you have to win the conference tournament. When UMKC was in the Summit, it never did. So, the school decided in 2013 to switch to the WAC. Wilson became AD the same year UMKC made the switch. While she didn’t have a say in the matter, she says the school hoped it would give the university’s signature sports program a better shot at the Big Dance. “Yeah, I think the opportunities for that were such at the time that that was probably, definitely a thought that that would be helpful,” Wilson recalls. But since joining the WAC and bringing on former Louisville assistant Kareem Richardson to coach, the men’s basketball team has had only one winning season, going 18-17 last season. The new conference affiliation hasn’t reflected well at the turnstiles either: Crowds didn’t surpass 2,000 for a single game this season, according to listed attendance figures. Kansas City’s Municipal Auditorium seats almost 10,000. That’s not to say UMKC hasn’t seen success in other sports. In 2016-17, the 'Roos won five team championships (men’s cross country, men’s and women’s tennis, men’s and women’s outdoor track and field). The WAC’s vast reach requires an immense amount of travel. For the men's basketball team alone in the 2016-2017 season, UMKC spent $415,730 on flights, ground transportation, lodging and meals, according to NCAA records. Wilson said in an email that meals and transportation for home games factor into that allotment. So, while trips to conference games in Bakersfield, California, or Seattle, are costly — $10,000 to $20,000 per trip for the men's and women's team, Wilson said, it's less than what appears to be closer to $30,000 a trip if you divide the men's travel by number of trips last season. Regardless, the extensive travel led WAC conference rival CSU-Bakersfield to announce Nov. 27 it’s leaving for the more geographically friendly Big West, citing an average of 2,400-mile roundtrip for its teams. The Big West’s only school outside of California is Hawaii. Men’s basketball coach Rod Barnes, who led the Roadrunners to their first-ever NCAA tournament two years ago, says the decision to leave the WAC was not solely based on hoops. The travel is also time-consuming for student-athletes. 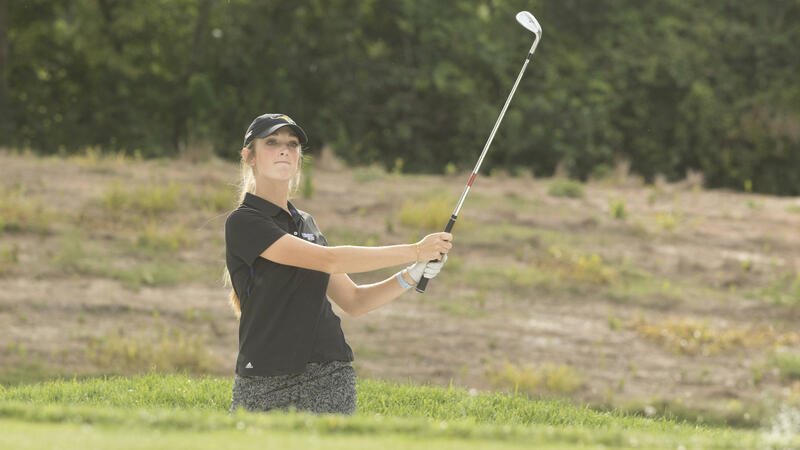 The UMKC women’s golf team plays in fall and spring, and began its spring schedule last week with a five-day trip to a tournament in Arizona. Chandler Gallagher is a UMKC golfer. She says it's a tough balance between working toward her nursing degree and traveling long distances with the golf team for its fall and spring seasons. Senior golfer Chandler Gallagher, a nursing major, loves competing, but says she feels like she’s already working full-time between studies and athletics. It’s among the things UMKC athletics, and especially Wilson, will have to consider when C. Mauli Agrawal takes over as chancellor in June. There’ll be tough questions to answer, and as long as UMKC is in the WAC, Wilson will be presenting a pricey reality. 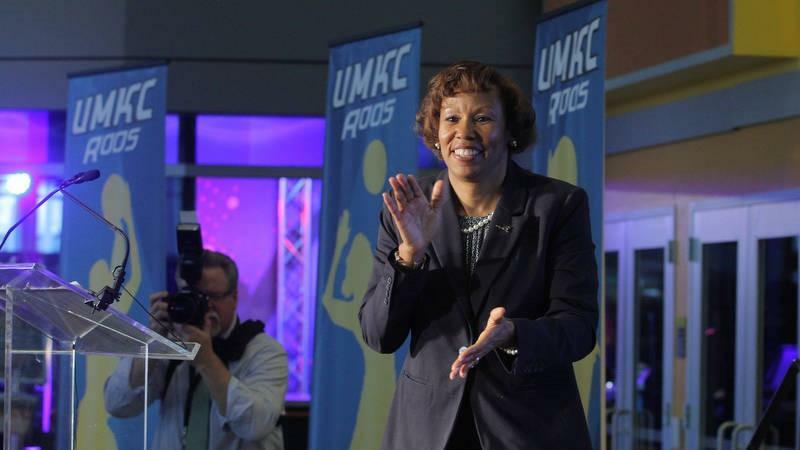 Carla Wilson was named UMKC's new athletic director this week. Her hiring is a landmark for women of color, as she is the only African-American woman who is an athletic director of a division 1 school that is not historically black. Wilson is not new to UMKC, she's been there for 24 years, 16 of them in the athletic department. As a college student, she had a work study in the athletics department, and after earning her degree in accounting, she went on to work at UMKC and move up in the ranks.